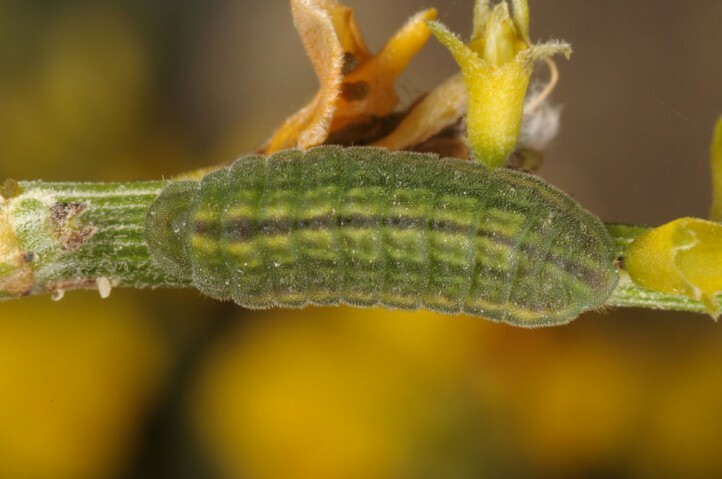 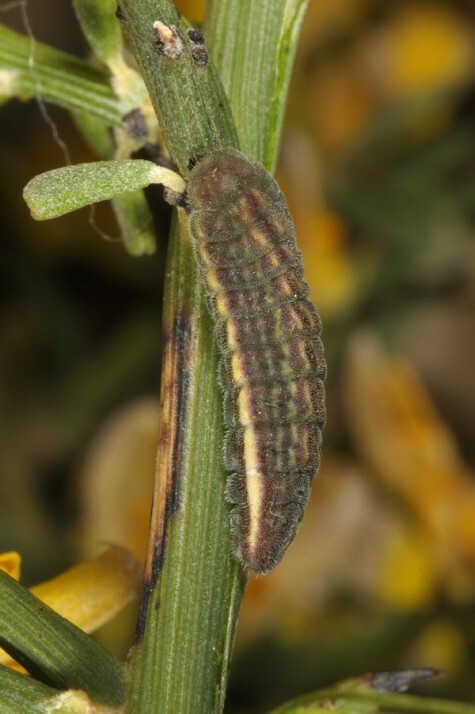 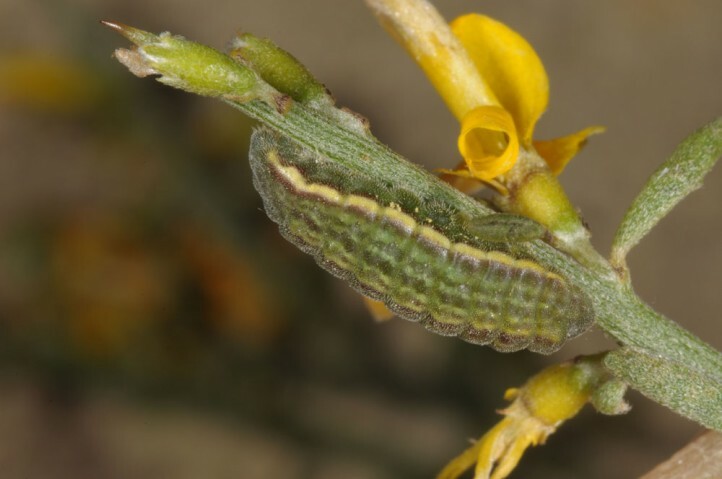 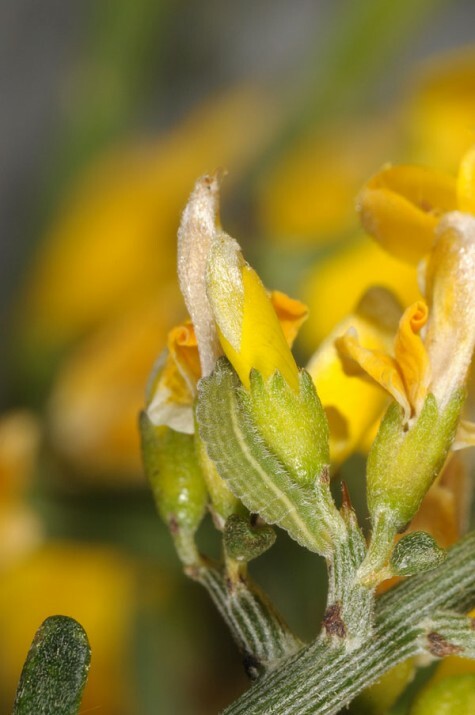 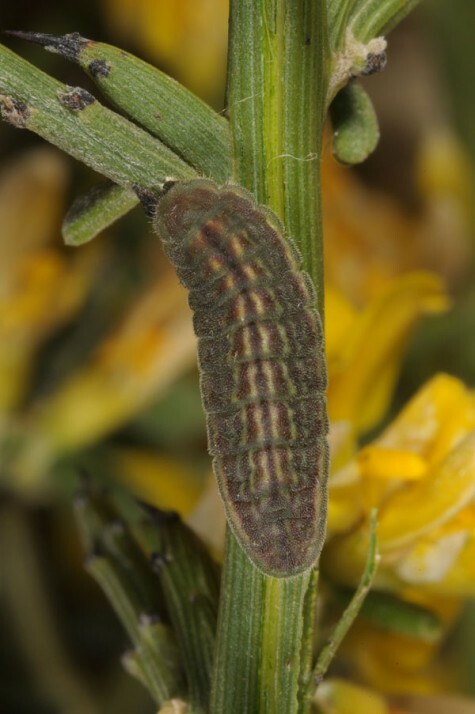 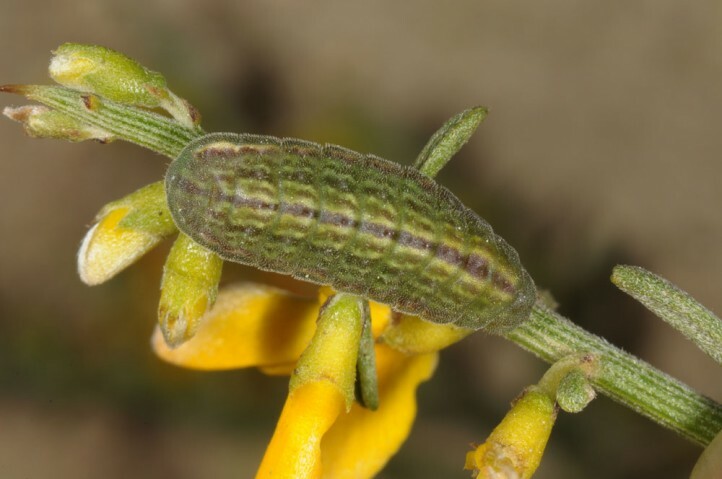 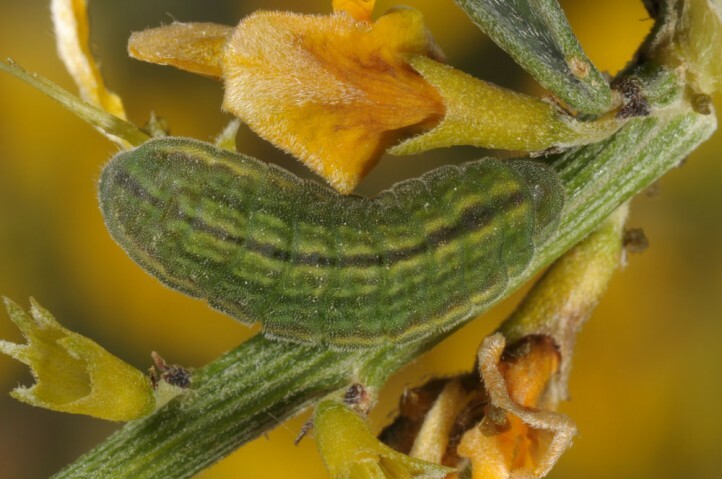 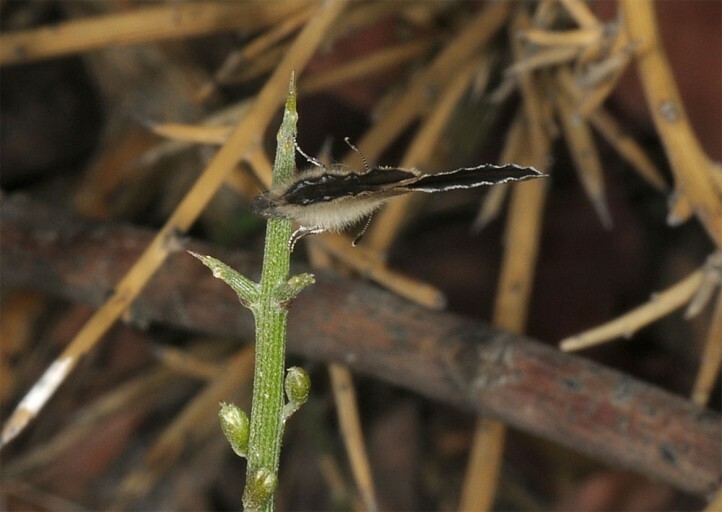 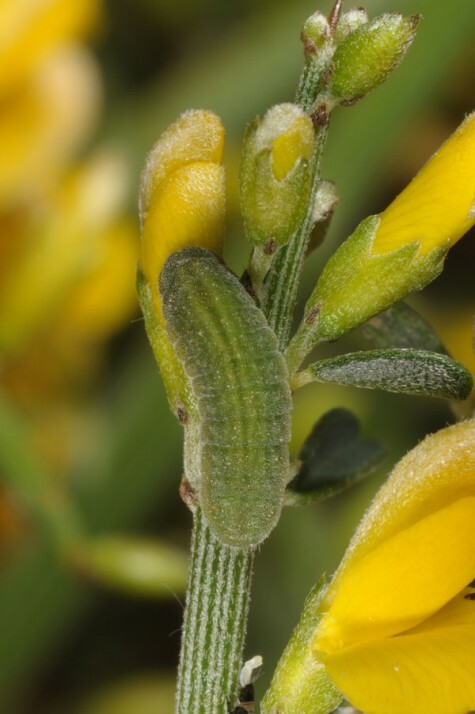 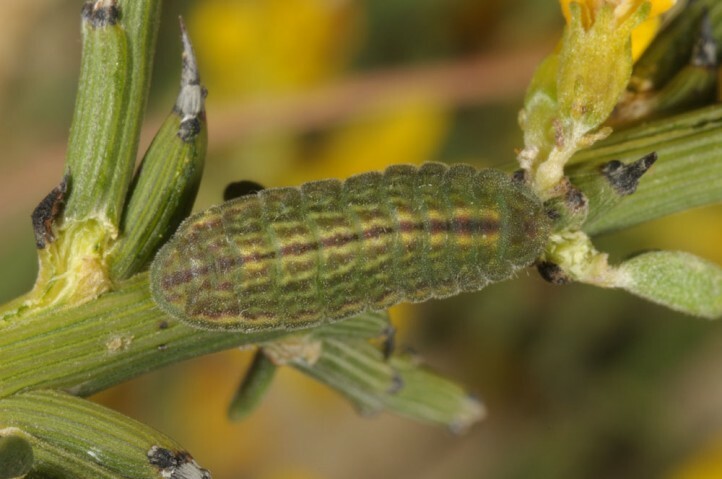 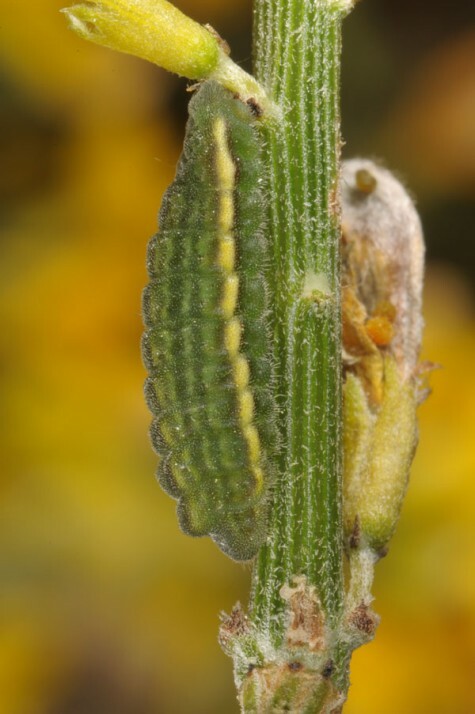 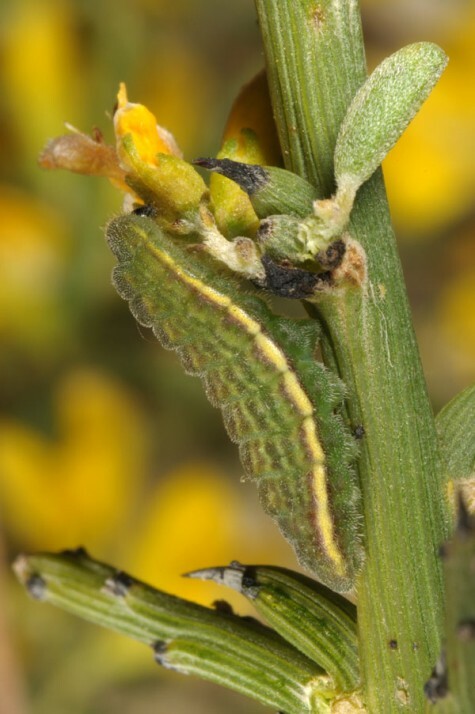 The larvae feed on Genista fasselata and eat especially flowers and buds. 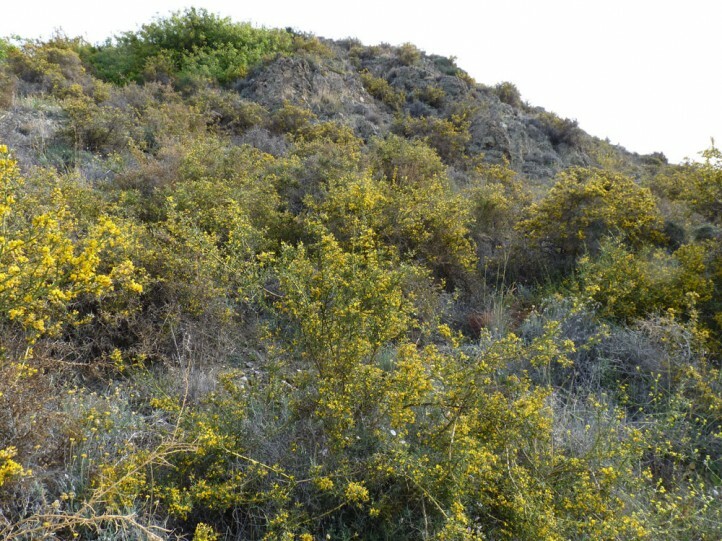 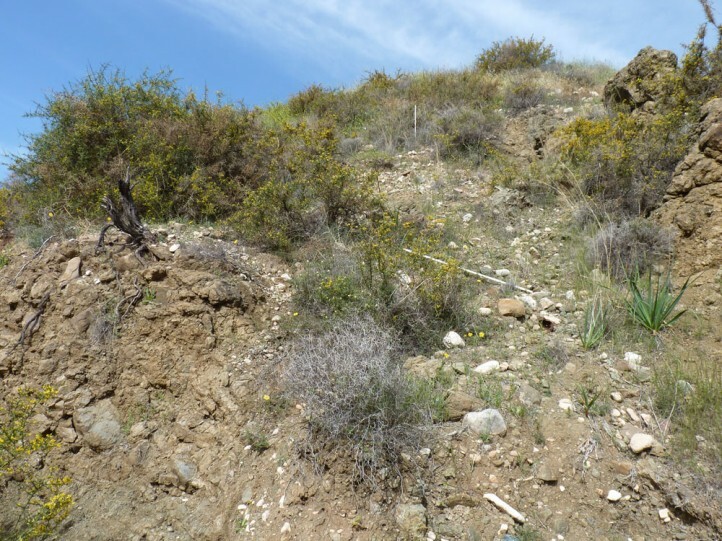 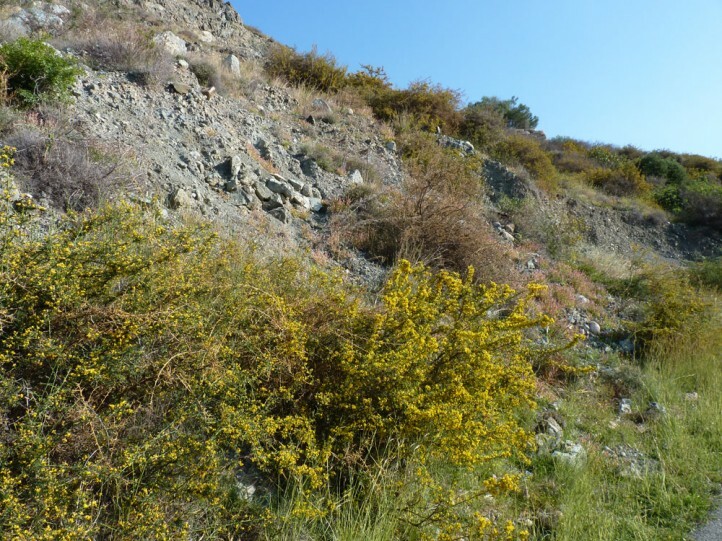 Glaucopsyche paphos inhabits especially garigues, rocky slopes and maquis with the host plant, from sea level up to about 1400m. 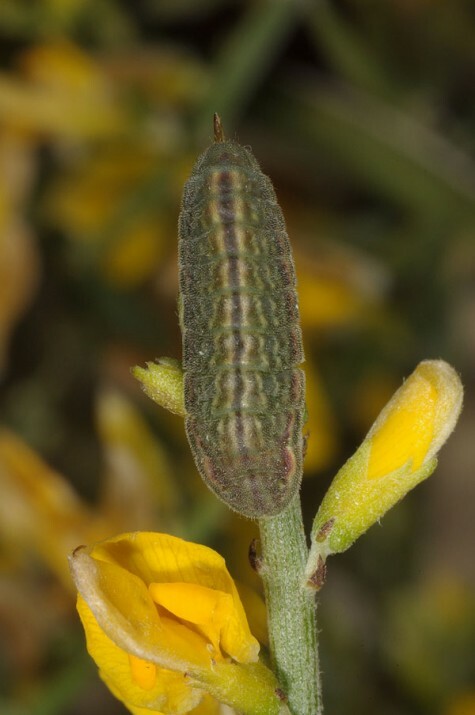 It still can be found in open woodland. 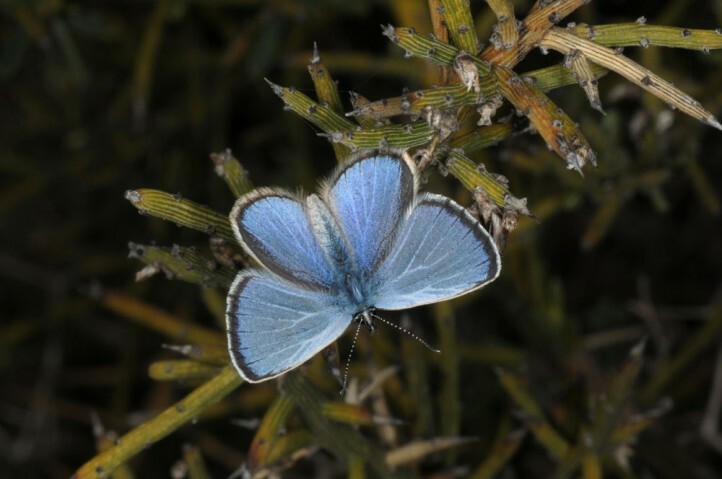 The butterflies occur mainly between February and early July, according to altitude and weather. 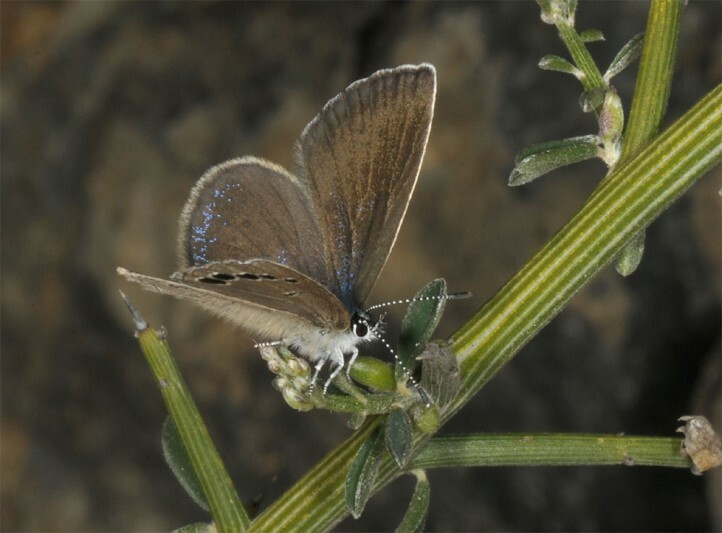 But flight time can be cery extended even in one site. 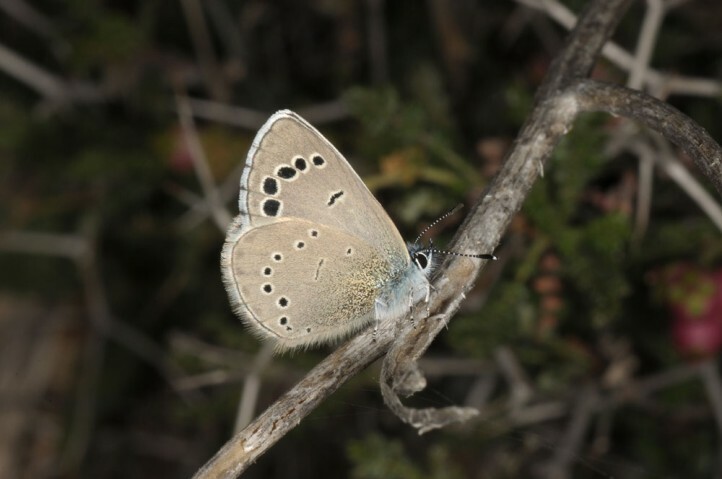 North of Paphos, I recorded adults in late February 2017 and some still in mid-April (besides many larvae) of the same year. 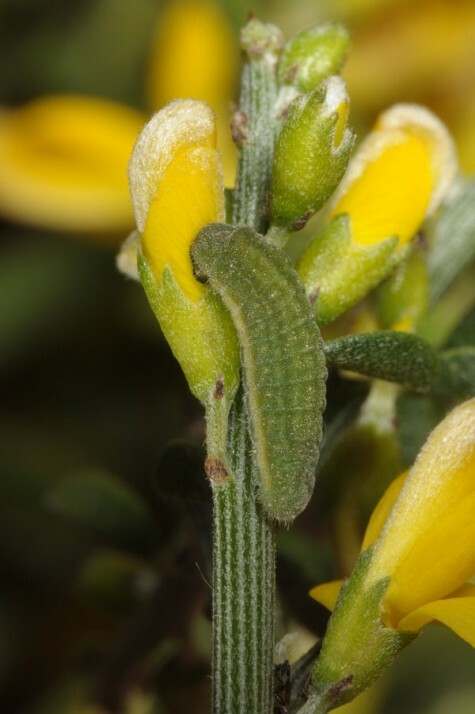 While there were no adults above 200m in late February, those have been common there in mid-April. 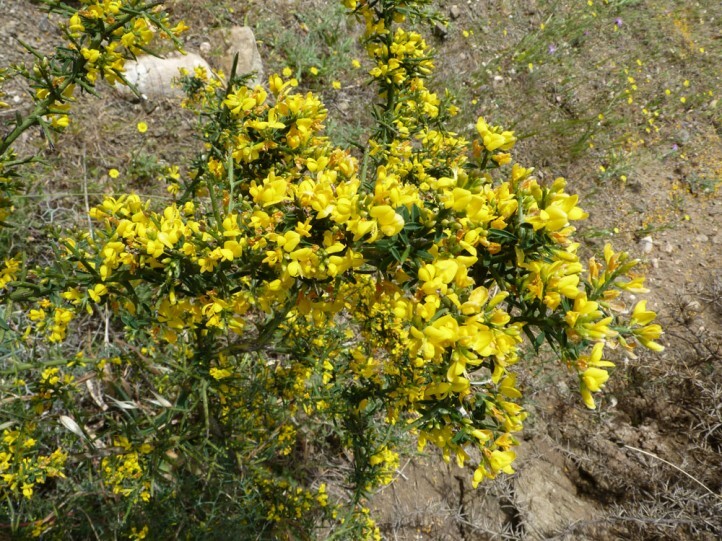 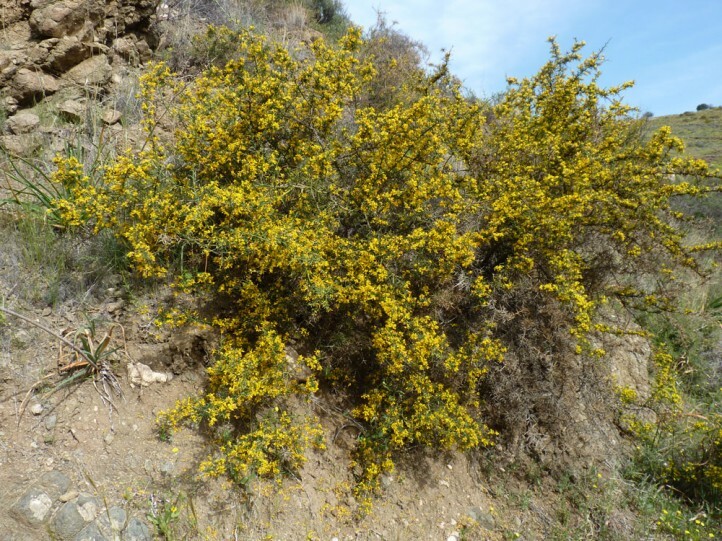 The long flight period is favoured by a long florescence of the broom which can last up to two months in a locality. 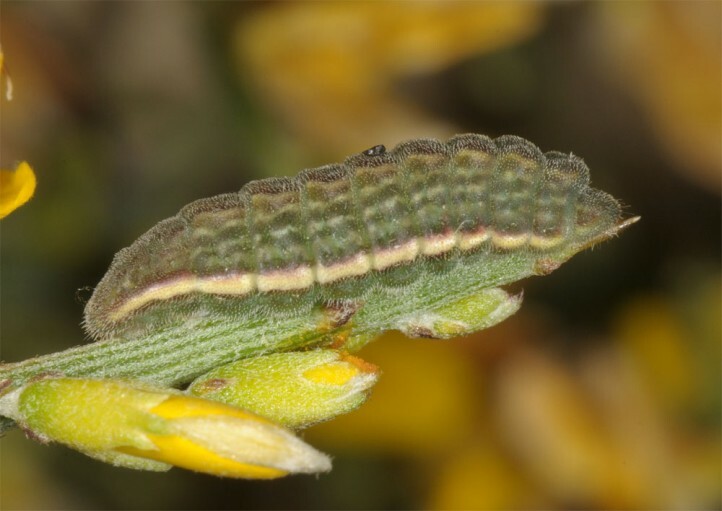 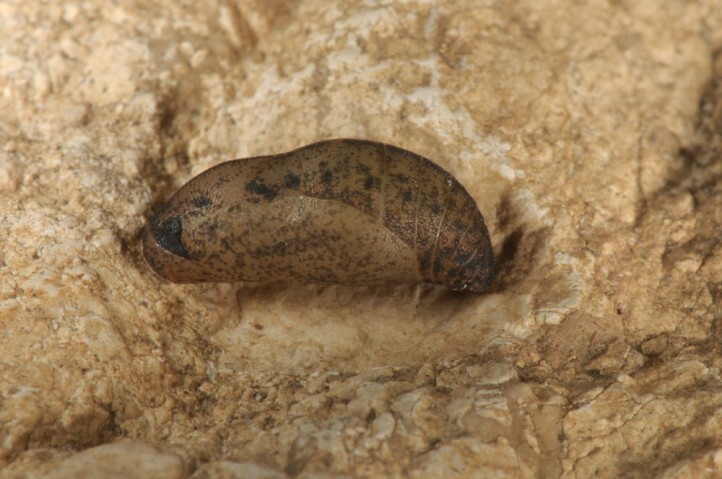 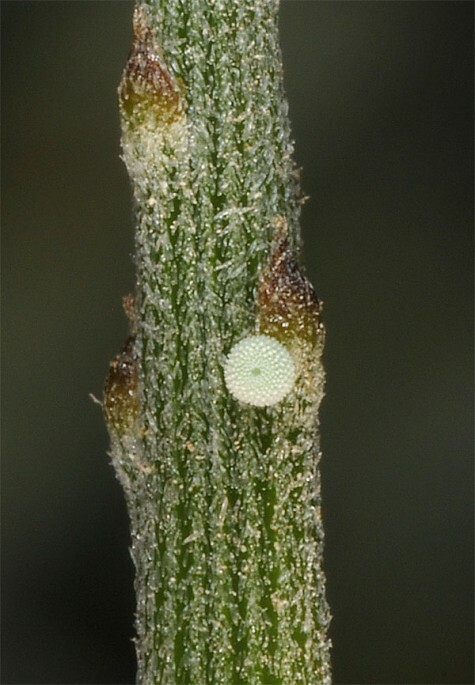 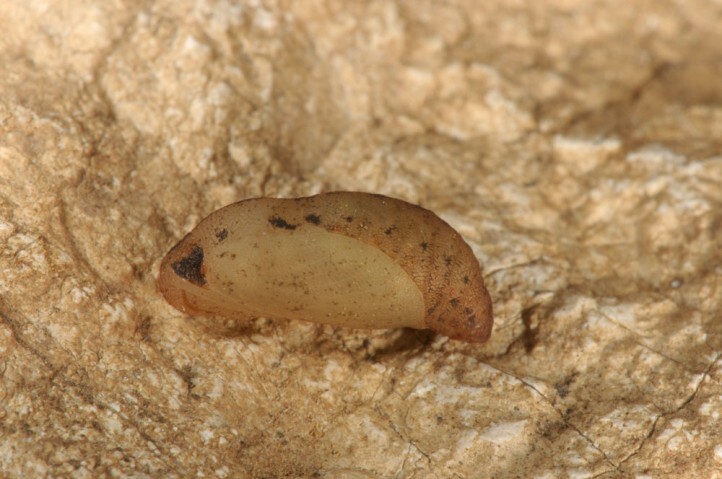 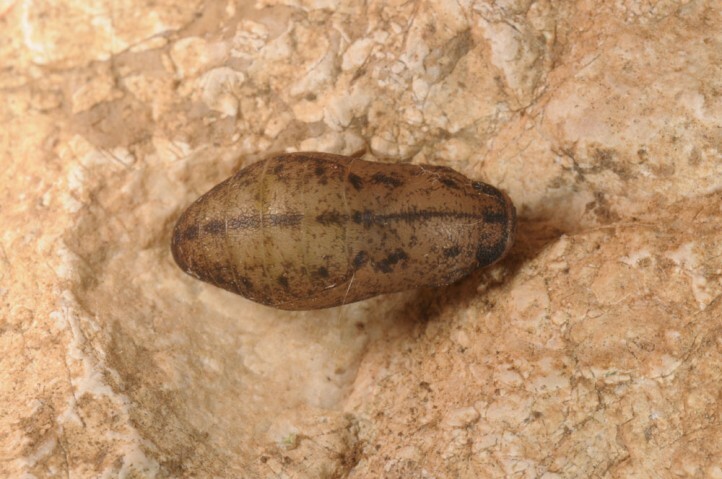 The larvae occur between March and July, in lower elevations especially in April and early May. 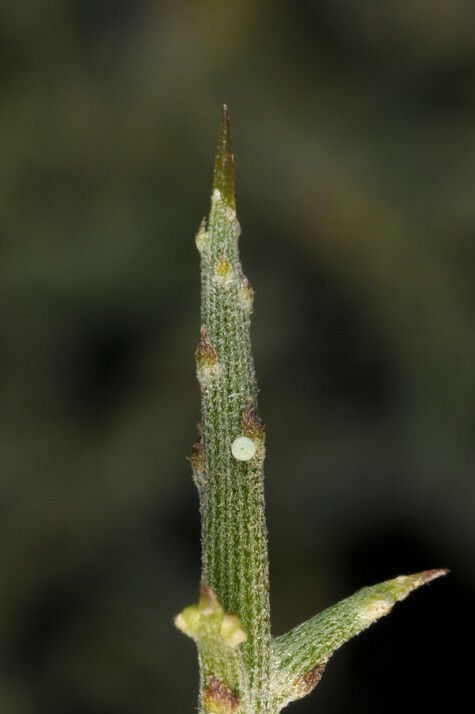 They are easily beaten from the plants. 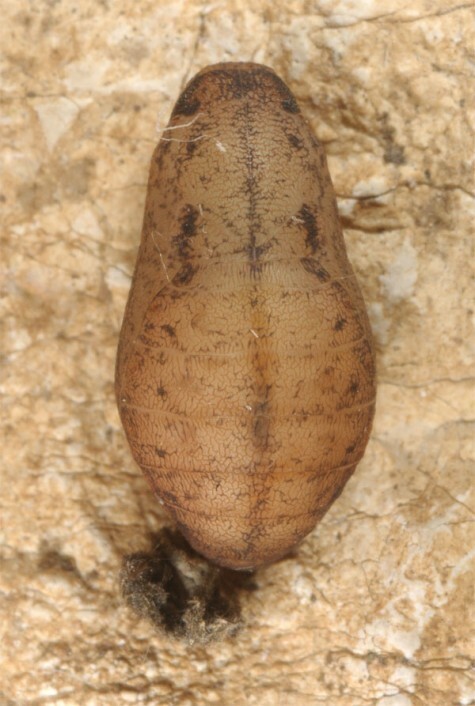 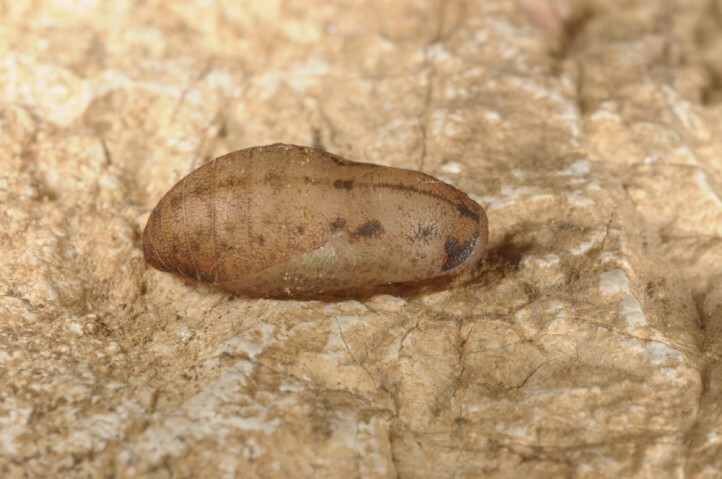 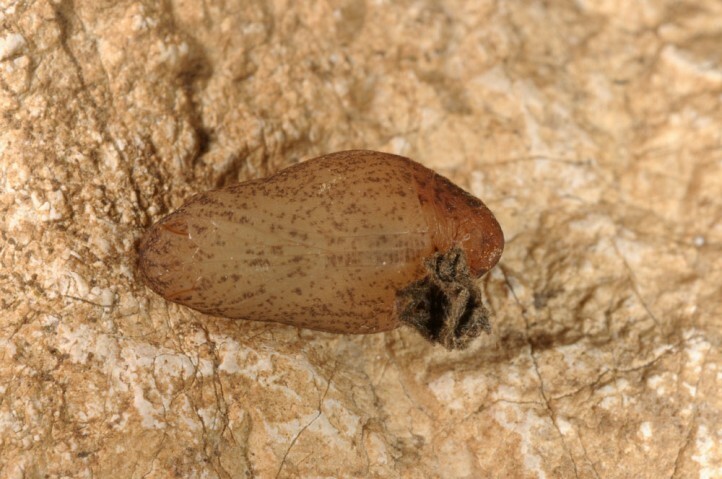 The pupa aestivates/hibernates. 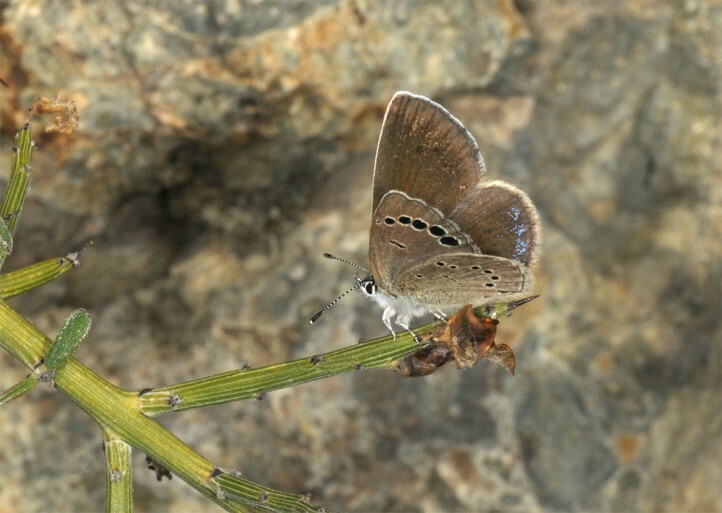 Glaucopsyche paphos is still widespread, often common and thus not directly endangered. 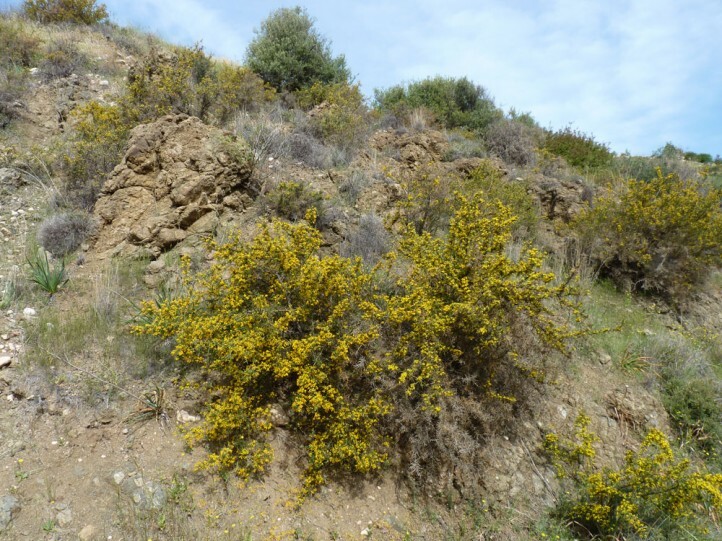 But its abundance is declining in many places by proceeding cultivation (expansion of wine yards, olive groves etc., overbuilding). 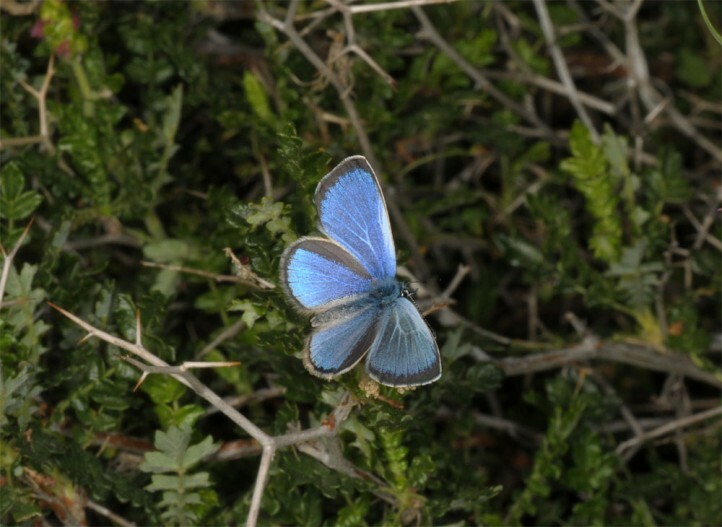 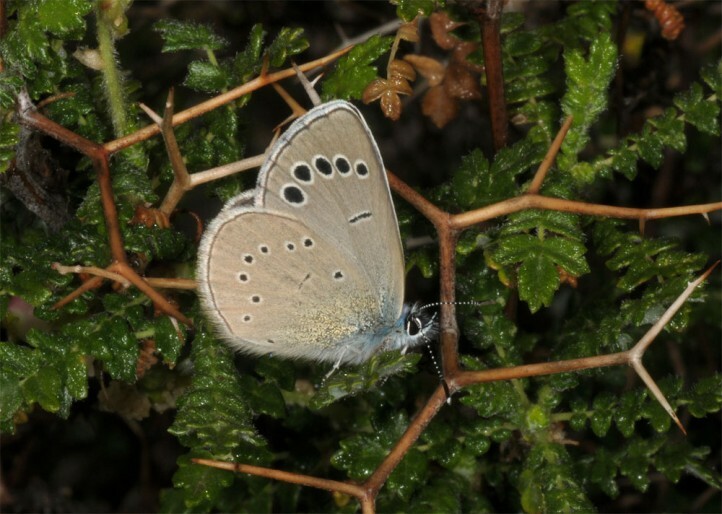 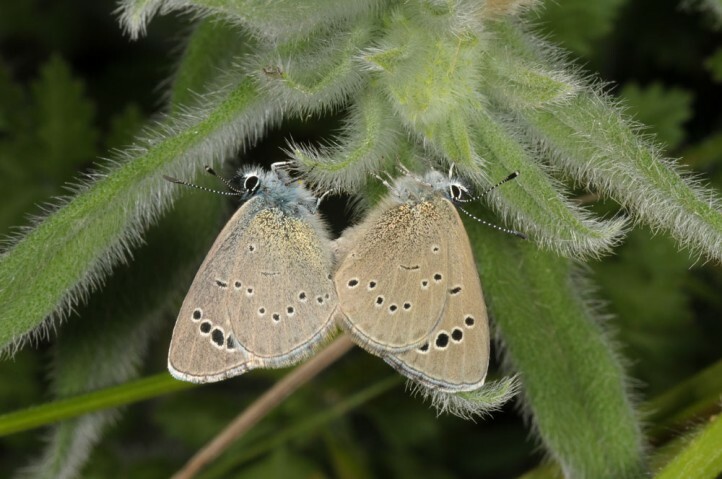 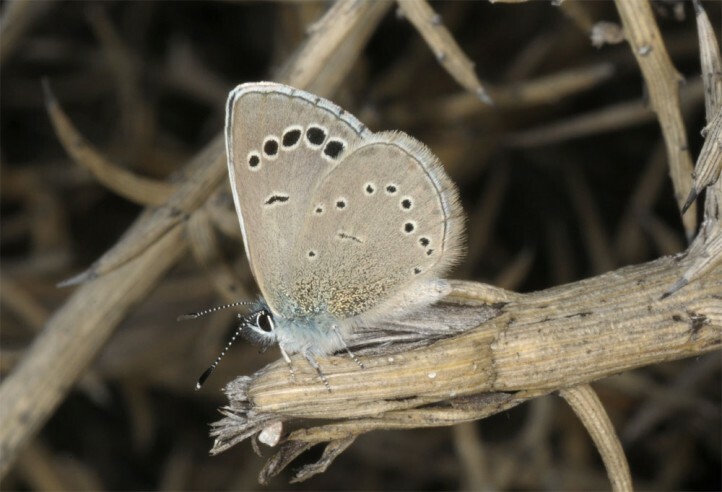 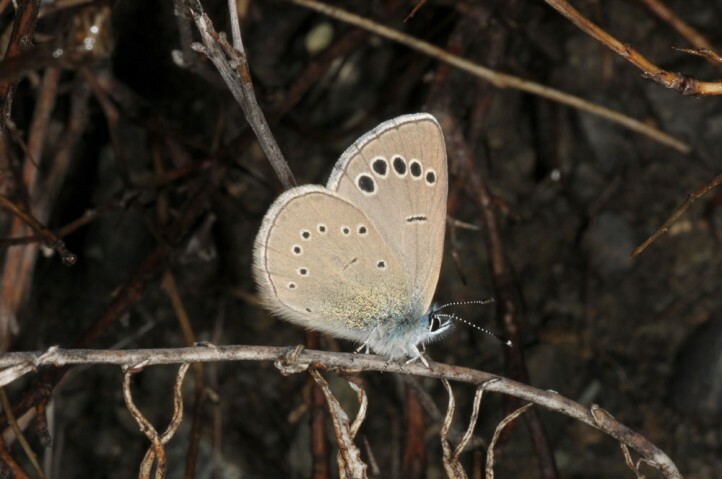 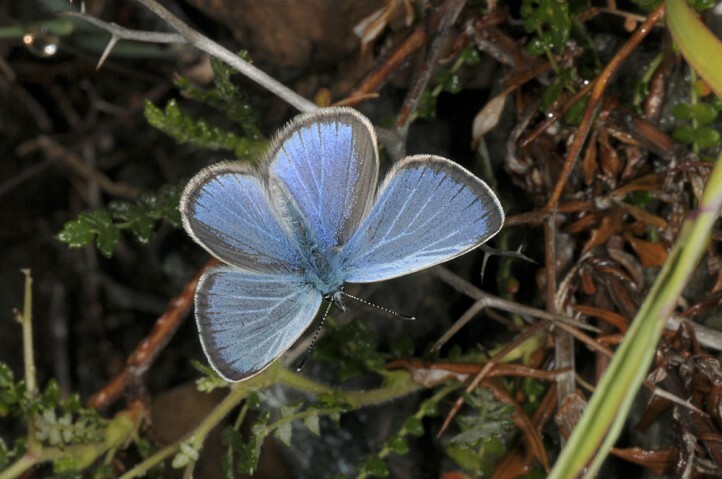 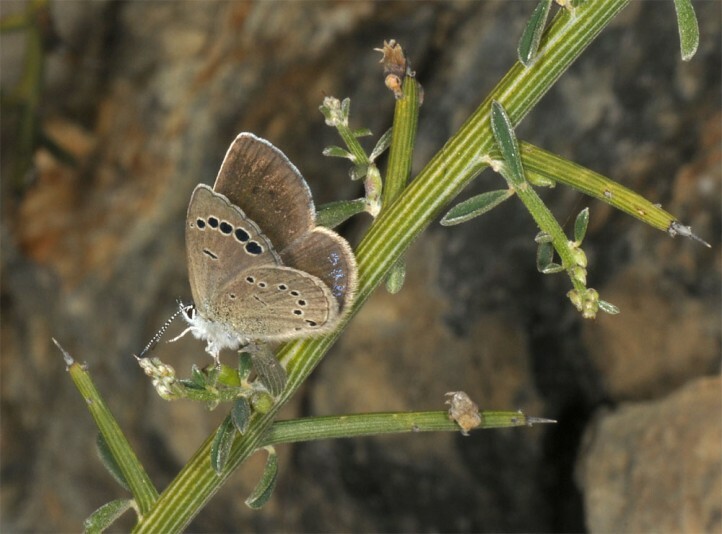 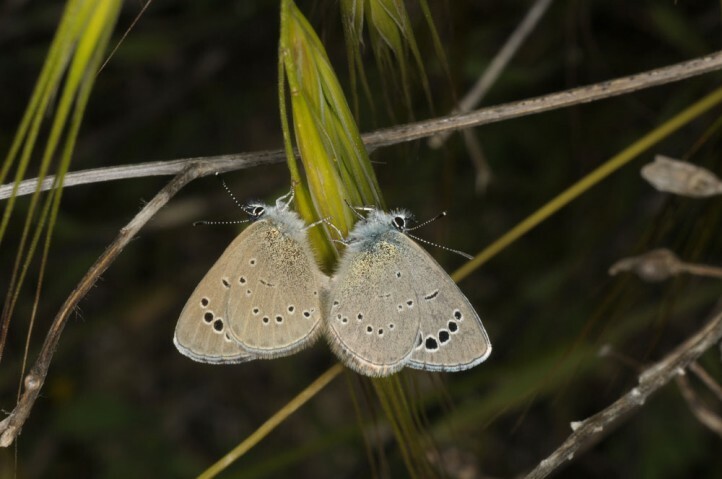 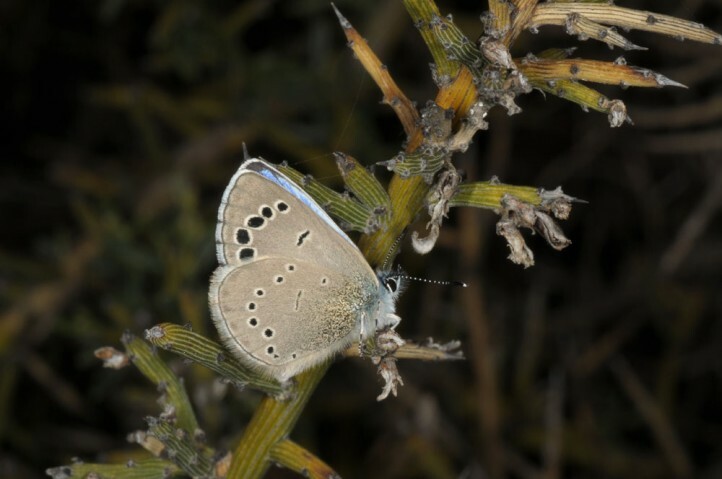 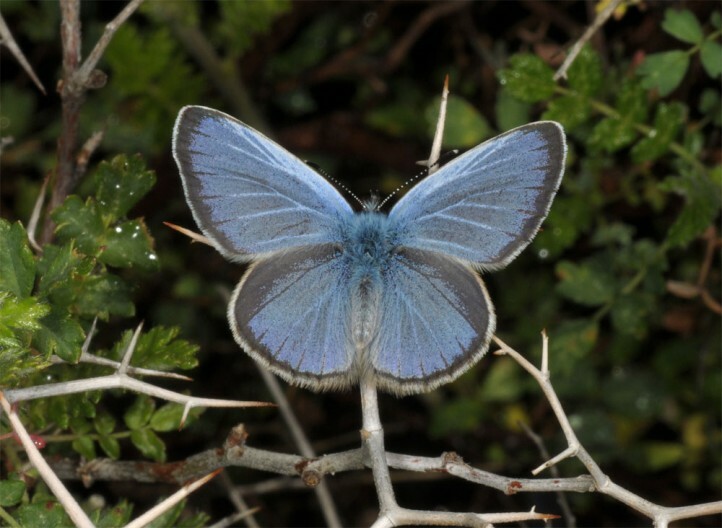 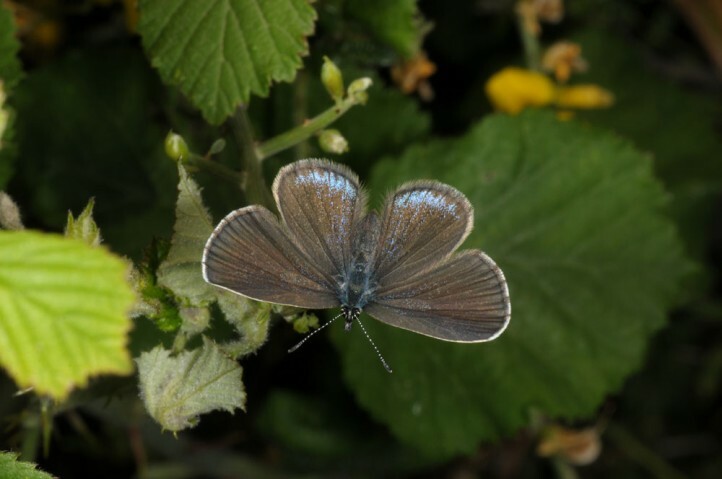 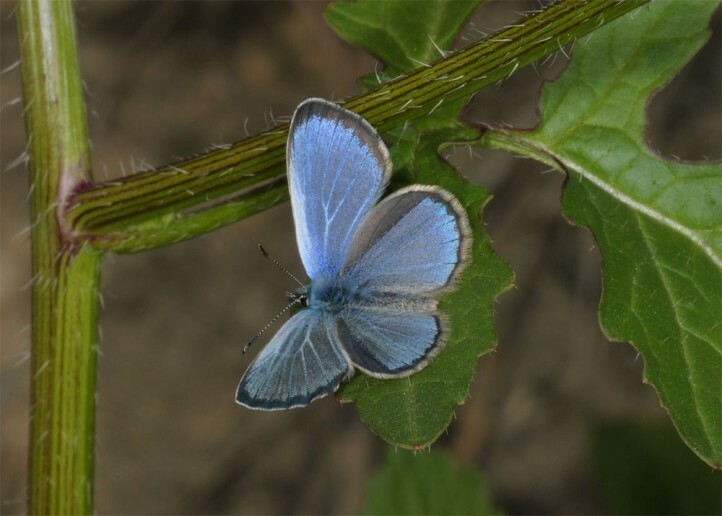 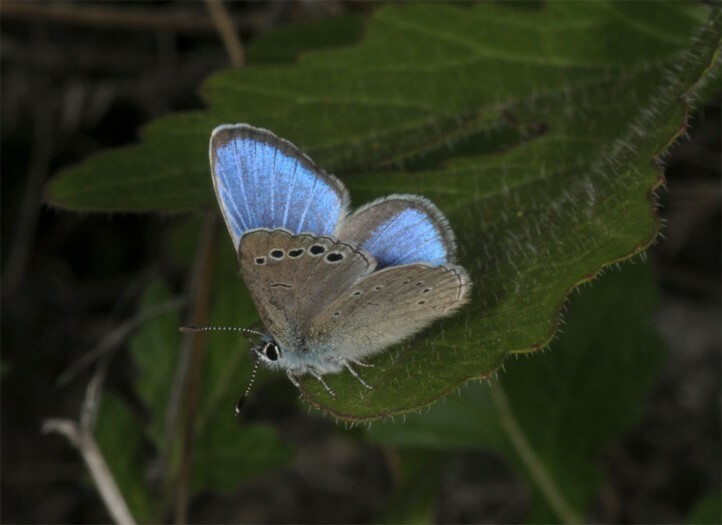 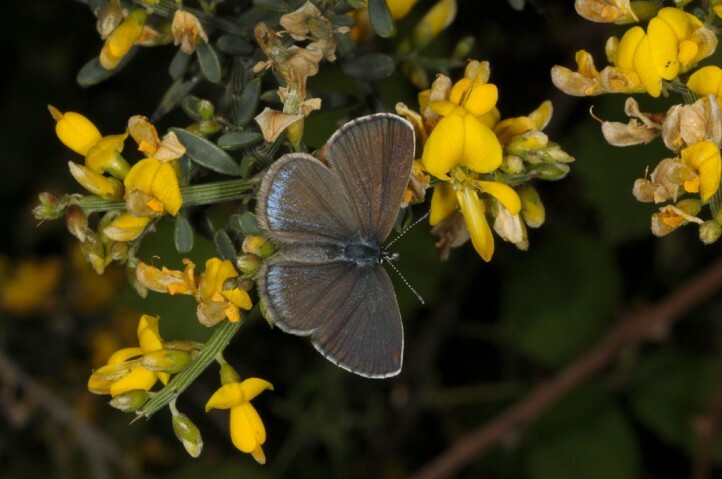 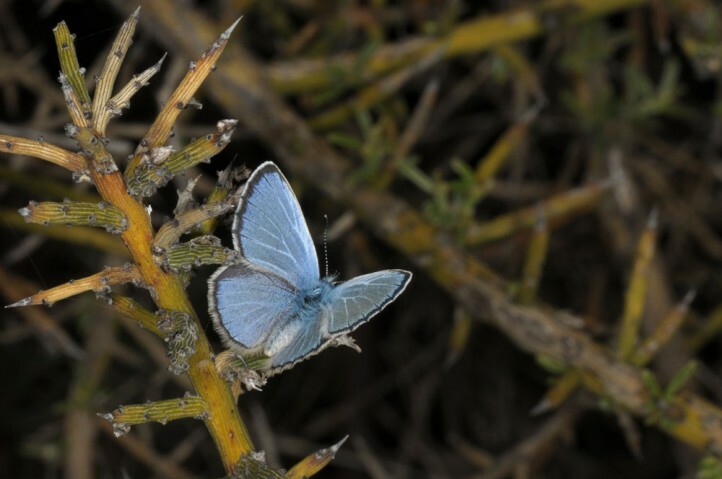 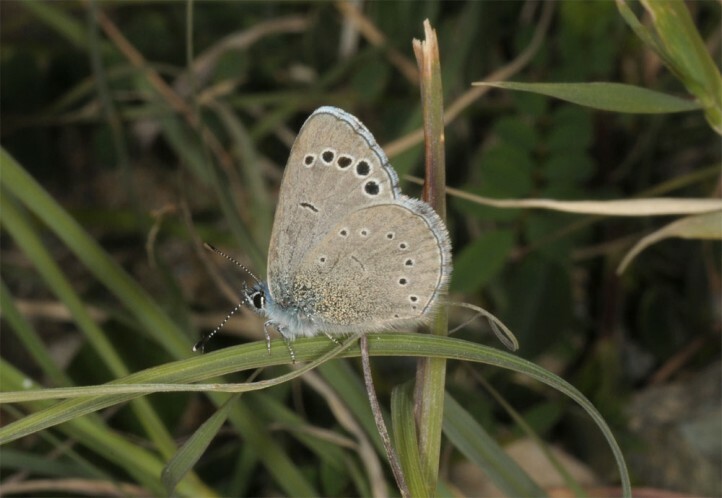 Glaucopsyche paphos is endemic to Cyprus and often the most common butterfly in spring.